A while ago we introduced our brand-new clutch profile, but we are so happy to now announce that is has really taken off! Clutch today released new research highlighting the top companies in Africa and Asia and we are one of them! 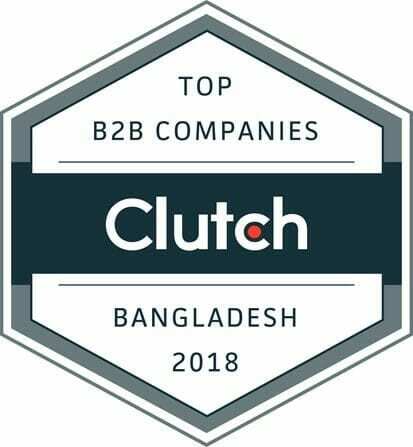 We are a top agency in Bangladesh! We are also honored by their sister site, The Manifest. On the Manifest, we are featured as a top Facebook Company, and all we can say is thank you. Thank you to our employees for creating such great content and exciting amazing work, as well as thank you to our customers, for taking the time to leave us amazing reviews and trusting us with their projects. We are so excited for all the future projects and awards we are working towards. We are thrilled for all the new doors Clutch opens and for the new reviews we are going to get in the future. Visit our website and see all the amazing things we are up to, https://ninjacreativemarketing.com. Jubayer Hossain is an SEO consultant and entrepreneur. He has proven himself as a successful online marketer since 2010 and founded Ninja Creative Marketing in 2017. Connect with him on LinkedIn. Need Help? Get in Touch Now at jubayer@ninjacreativemarketing.com.